This entry was posted on Sunday, December 9th, 2012 at 8:44 am	and is filed under Landscape, Pastels, Uncategorized. You can follow any responses to this entry through the RSS 2.0 feed. You can leave a response, or trackback from your own site. Well, I love it. It may be my new favorite. I request the original for framing! There’s sp much tension in the atmosphere in this picture. 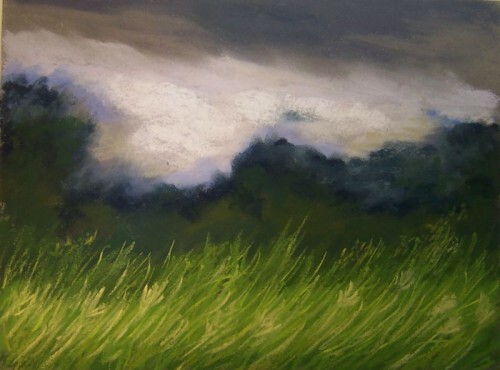 The grass is captive to the direction of the wind and you can tell that the fury of the storm is almost upon the scene. Very good! I liked it.